As I journey through this thing called motherhood, I'm learning that not everyone's journey is the same. Everyone has different things that work for them because not only is every child different, but everyone's circumstance is different. You can't judge someone else's journey just because it isn't in tune with how you would parent. I breastfed both of my children. I did it for financial reasons, but there were so many other benefits. At different times, I did try to give my daughter formula. But she wouldn't take it. She had issues with her latch, I had issues with supply, and she had colic. With the endless hours of crying because of baby's discomfort, I was willing to try anything. The unsolicited advice you are given can seem condescending when you are a first time mom. You are trying to find your footing as a first time parent. You worry about your baby 24/7 especially when you feel like something is wrong. Now as a second time parent, I do believe that people who give you advice do have the best intentions, it just isn't brought about in the most positive way at times. When a baby has colic and breastfeeding, the first assumption is that they aren't getting enough, at least this was my experience. 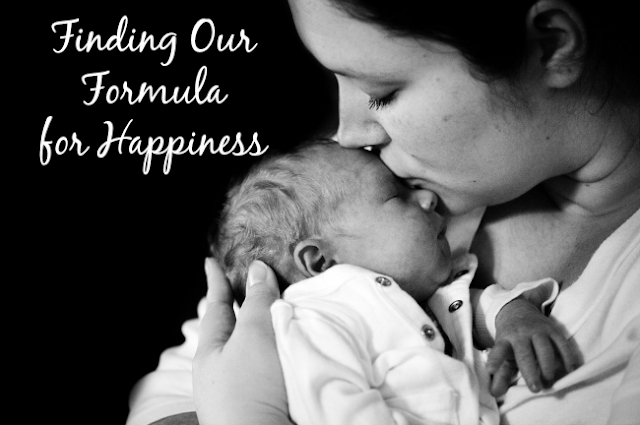 So in my situation, I was advised to give my daughter formula. But what do you do when your baby won't take it? Then it was suggested that I give her colic drops. And it was the best advice I could have received at the time. Of course I wish I knew about her lip tie issue, but it wouldn't have fixed the problem. My sister-in-law is breastfeeding her third baby. She recently discovered that not only is she tongue tied, she also has colic. My sister-in-law has never had supply issues, so we know that isn't a problem. So I gave her some GERBER® Soothe Drops to try. She is very excited and happy to use them. Colic can be a symptom of digestive discomfort. Research indicates that the type of bacteria in the infant’s intestine may determine whether a child is colicky. Probiotics can help support a balance of good bacteria in the digestive tract of colicky infants. 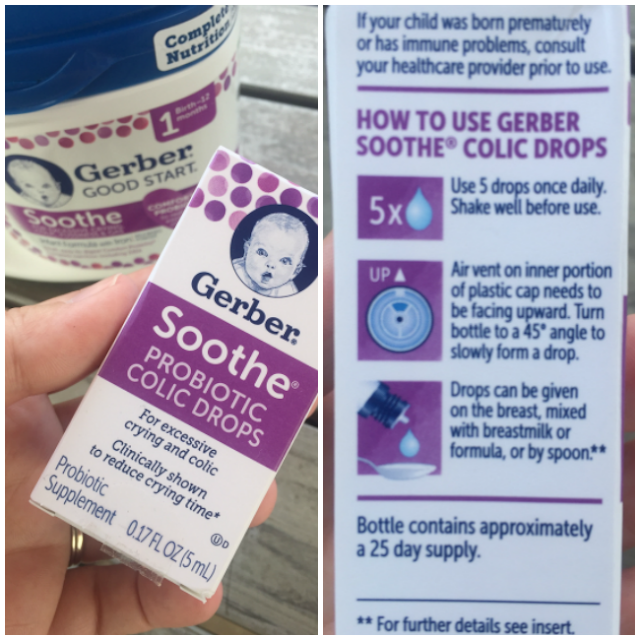 GERBER® Soothe products (Drops and powder formula) contain Lactobacillus reuteri which is a probiotic that is safe for infants and has been clinically proven to reduce crying time in infants. For those times that she does want to use formula, she can use GERBER® Good Start® Soothe powder formula. What ever path you choose for your family, whether breastfeeding or formula feeding, less crying means more smiling with GERBER® Soothe Drops. 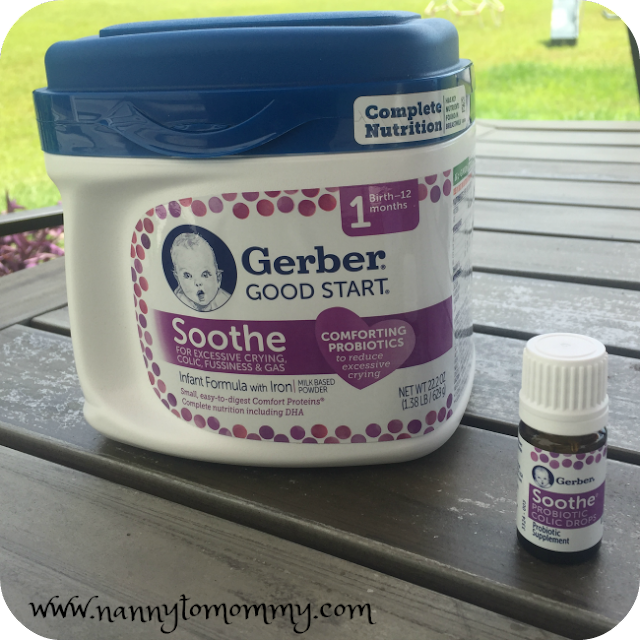 Today’s post is sponsored by Gerber® Soothe, which believes less crying for a baby means more smiling for all. I received a free sample of Gerber® Good Start® Infant formula and Gerber® Soothe probiotic colic drops from Gerber. My thoughts and opinions are my own. Each mother knows what is best for her individual baby, so what works for one may not work for another.